Founder and President of the CENAPS® Corporation (Center of Applied Sciences), Terence T. Gorski is a pioneer in the development of Relapse Prevention Therapy, who has achieved international acclaim for is work. He is considered a leader and authority in the addiction, behavior health and social services, and correctional industries for his work in recovery and relapse prevention. Mr. Gorski holds a Bachelor of Arts Degree from Northeastern Illinois University and a Master of Arts Degree from Webster University in St. Louis, Missouri. His credentials include a Master Addiction Counselor (MAC) and a Nationally Certified Addiction Counselor (NCAC II) by NAADAC. A prolific author and teacher, he has become a leading authority on the use of science-based models for preventing relapse. His greatest talent is his ability to break down complex treatment and recovery processes into clear and simple steps that can be used by laymen as well as professionals working with addicted people in addiction treatment programs, mental health centers, and the criminal justice system. Mr. Gorski has received many accolades for his works including the Order of the Falcon (Government of Iceland, 2002), the Father Martin Award (2003), the Clyde and Marie Gooderham Award (University of Utah-School on Alcohol and Other Drug Dependencies, 1990), and the Mary Mann Award. International Bestselling Author … Former Royal Marine Commando … Adventurer and Expedition Leader … Traveler Across 80 Countries on 7 Continents … Polar Diver and Antarctic Explorer … Pilot … Skydiver … Scuba Diver … Marathon Runner … Ski and Snowboarder …Travel and Magazine Writer. Chris Thrall was born in the UK. At eighteen, he joined the Royal Marine Commandos. Following active service in the Northern Ireland Conflict and training in Arctic warfare and survival, he earned his parachutist’s ‘wings’ and went on to serve as part of a high-security detachment onboard an aircraft carrier. In 1995, Chris moved to Hong Kong to oversee the Asia-Pacific expansion of a successful network-marketing operation he’d built, part-time, while serving in the Forces. Less than a year later, he was homeless, in psychosis from crystal meth addiction and working for the 14K, a Hong Kong triad crime family, as a doorman in the infamous Wan Chai red-light district. Eating Smoke, a humorous yet deeply moving memoir, is his account of what happened . . .
Dr. AD, LMFT, ACRPS, CADC-II, is author of the book Freedom from Suffering: A Journey of Hope as well as author of several other pain management books including Managing Pain and Coexisting Disorders, and the Addiction-Free Pain Management® Recovery Guide. He is an internationally recognized expert in preventing relapse related to chronic pain disorders and is the developer of the Addiction-Free Pain Management® System (please visit www.freedomfromsufferingnow.com for more information). He has been working with pain management, chemical addictive disorders, eating addiction and coexisting mental and personality disorders for almost 30 years. He is also the Clinical Director of Training and Consultation for the Gorski-CENAPS ® Corporation. Dr. Grinstead has a Bachelors Degree in Behavioral Science, a Masters Degree in Counseling Psychology and a Doctorate in Addictive Disorders(Dr. AD). 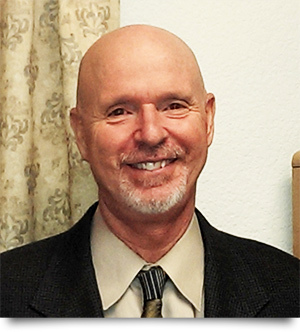 He is a Licensed Marriage and Family Therapist, (LMFT) a California Certified Alcohol and Drug Counselor (CADC-II), and an Advanced Relapse Prevention Specialist (ACRPS). He was on the faculty of UC Santa Cruz Extension Alcohol and Drug Studies Program and also taught at Santa Clara University, UC Berkeley Extension and Stanford University Medical School and is currently on the faculty of University of Utah’s School on Alcoholism and Other Drug Dependencies as well as an Adjunct Profession at Alliant University teaching Psy.D. Students the Treating the Addicted Family System course for the Marriage and Family Therapy track. Since 1996 Dr. Grinstead has conducted Addiction-Free Pain Management®; Managing Pain Medication in Recovery; Managing Pain and Prescription Drug Abuse; as well as Relapse Prevention Counseling, Relapse Prevention for Eating Addiction and Denial Management Counseling, seminars and certification trainings for over twenty thousand healthcare professionals therapists and counselors at more than 300 training seminars in key cities across the United States and Canada.